As you know by now, any opportunity to feature an author named Melissa on Chick Lit Central is pure gold to us, and this time the one we're featuring is also a TV personality! Melissa Francis, anchor on the FOX Business Network of the just-launched MONEY with Melissa Francis, may look familiar to you. 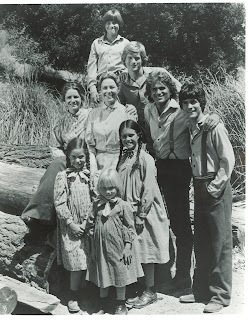 At the age of eight, she landed the role of a lifetime: Playing Cassandra Cooper Ingalls on the world’s most famous prime-time soap opera, Little House on the Prairie, working alongside 1980s icons Michael Landon and Jason Bateman. Melissa is also the author of DIARY OF A STAGE MOTHER’S DAUGHTER, a dazzlingly honest and provocative family memoir that can best be described as The Glass Castle meets Battle Hymn of the Tiger Mother. Basically, Honey Boo Boo's mother can take a backseat to Melissa Francis' mother when it comes to stage parenting. In her memoir, Melissa recounts her life as a child star in the 1980s and the effect that the parenting style of her highly neurotic and dangerously competitive “Tiger Mother” had on Melissa and her older sister. Melissa, now a mother of two young boys, wrote the memoir as meditation on motherhood and the value of pushing your children, asking the question: How hard should you push a child to succeed, and at what point does your help turn into harm? After graduating from Harvard University with a degree in economics, finding love, and marrying, Melissa resolved to end the manic, abusive cycle and live life on her terms. As a mother, Melissa knows that the key to raising happy, confident and successful children is to respect each child for who they are, and avoid the one size fits all, pressure packed "Tiger Mother" approach. Melissa currently lives in New York City with her husband and children. You can find her on Twitter, as well as check out this recently published article. Thanks to Sarah Hall Productions, we have one copy of Diary of a Stage Mother's Daughter for a lucky reader in the US or Canada. Shockingly quick and easy! I pitched an idea to my agent, Mel Berger, he sold it, and then I was committed! The team at Weinstein Books has been a dream. I couldn’t have asked for more! What are your biggest motivations to write? What keeps you going? I have always had a passion for writing and when I’m inspired and in sync with my topic, the words flow freely and easily. When I’m struggling, I know I’m not writing about the right topic. How do you approach your writing? Do you plot or go with the flow? I was blessed with Amanda Murray, a gifted Editor to keep me on track. We made an outline and I just plugged away. Amanda would give me tips, like reminding me which characters we hadn’t heard from in a while, and I would think about stories from my past that would work that character back into the action. I also found it helped for me to think about the next chunk of writing as I was falling asleep at night. I mulled over the stories I wanted to share next as I drifted off to sleep. By the next morning, the text had gelled in my mind and the words could just flow. Are you worried about what your family will think of DIARY OF A STAGE MOTHER’S DAUGHTER? Sure, but that’s just the risk I’m taking. I love my father dearly. We are very close and email or talk every day. So far he hasn’t read the book. He lived it. He doesn’t necessarily need to relive it. If they made a movie of DIARY OF A STAGE MOTHER’S DAUGHTER, which actress would you want to portray you? What is one item you can't live without? Sadly, my Blackberry. Oh yeah, and my sons. Aside from yourself, who is your favorite celebrity named Melissa? That’s easy. Melissa Gorga. I’m the biggest Real Housewives Super Fan that has ever lived. With Thanksgiving approaching, do you have a go-to menu plan or recipe? I host Thanksgiving every year at my home. It’s my favorite holiday, because it’s about family and food and not gifts. I love Fall, when the temperature drops, and we always go to the Macy’s parade here in NYC. I’m great with the turkey, but my mother-in-law makes gravy to die for. I fill up on low-fat sausage stuffing. Wait. I mean high fat. Special thanks to Melissa for entertaining us and Sarah Hall Productions for sharing her book with our readers. US/Canada only. Giveaway ends November 18th at midnight EST. She sounds like a wonderful parent and I really appreciate the advice she gave. I have performed on stage and I hated it! I do not like to be the center of attention. I took dance lessons for 14 years and each year we had a recital. I was also in quite a few Christmas plays at my church growing up, it was fun because it was the culmination of a year's worth of work. Sounds like a good book. Great interview, too! I danced on stage, performed in band on stage, and did piano recitals on stage. All very positive experiences for me. No acting for me. I follow the blog, Facebook, Twitter, and Pinterest! I've performed on stage with a choir but never really any acting. I loved it and I do miss singing especially at Christmas time. I follow on Facebook, Twitter and GFC. Just found this blog and love it! What a great source for Chick-lit books! I have acted before and it was totally a nervewracking experience! Not since elementary school was I on stage although it was fun back then. I performed on stage for the first time when I was 3 and loved it so much I continued to do it until I was about 18. Yes as a singer I have performed many times. It's a fantastic feeling on stage but I am always nervous before I go on. I've been in a couple plays, and dance shows, but I always get such terrible stage fright! I keep doing it anyway, as some sort of deranged self-improvement ritual. I might be a masochist. I have not performed on stage before, but I was a cheerleader in high school. We had some pretty big crowds, so I'm going to count that! If I could do something on stage today, I would say sing. I wish I had the guts to sing in public! I follow through Twitter, FB and GFC! I performed in many plays in elementary school. The most mortifying experience was when I was in first grade, I was an elf, performing for the eighth graders (who seemed so cool and worldly back then), and while I was dancing around, one of my elf ears fell off. I was extremely embarrassed, my face turned beet red! I was completely mortified! 1. My parents put me in dance classes @ 3 yrs old and I quit at 12 or 13 as by then I was dancing 7 days a week, with lots of recitals etc. Wanted to be a kid, play with my friends! My parents were cool with it. In my 20's, I became a karaoke queen (but only with some liquid courage!). I was in a bunch of plays and musicals in the community theater when I was younger. I liked it. Nobody pushed me into it. Thanks to everyone for participating and telling us about your stage experiences! Random.org chose one winner from all entries with contact information. Thanks to Sarah Hall Productions for sharing the book with our winner.